“President Obama needs consistency to promote mutual confidence. 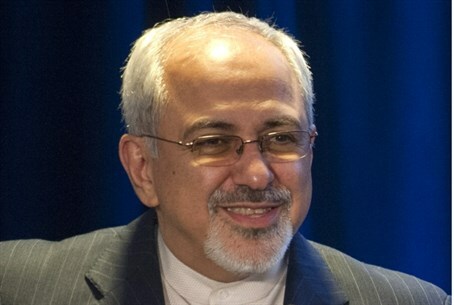 Flip flop undermines US credibility,” Javad Zarif wrote. One of Iran's top officials may have just damaged hopes of renewed ties with the United States after lashing out at President Barack Obama on Monday, Fox News reported. Iran's Foreign Minister, Javad Zarif, used Twitter to accuse Obama of imposing “illegal” sanctions on his country, an argument he has repeatedly made, and of doing a “flip flop.” That was an apparent reference to the president meeting Monday with Israeli Prime Minister Binyamin Netanyahu, Iran’s bitter enemy. “Pres. Obama's presumption that Iran is negotiating because of his illegal threats and sanctions is disrespectful of a nation, macho and wrong,” Zarif tweeted. “President Obama needs consistency to promote mutual confidence. Flip flop destroys trust and undermines US credibility,” he wrote in a second tweet. His comments followed a 17 minute phone conversation Friday between Obama and Iranian President Hassan Rouhani, ending a three-decade freeze that began during Iran’s 1979 revolution. Sanctions against Iran that started in 1979 were expanded by the U.S. several years ago. The U.N. Security Council imposed sanctions in 2006 after Iran refused to suspend its nuclear enrichment program. Obama said after Friday's call that he thinks the two countries can reach a “comprehensive solution” on Iran’s nuclear program, and that he and Rouhani had both directed their diplomats to pursue an agreement. During Netanyahu’s face-to-face meeting Monday with Obama, he cautioned the U.S. not to let up on sanctions against Iran and called Rouhani's latest diplomatic push a "smiley campaign." Netanyahu said Iran's "conciliatory words" have not yet been met by "real action." Obama agreed that "words are not sufficient" and Western leaders need to see "actions."